Written at a time when breast-feeding was discouraged and antibiotics were indiscriminately prescribed, When a Child Is Born helped begin the natural childcare revolution. 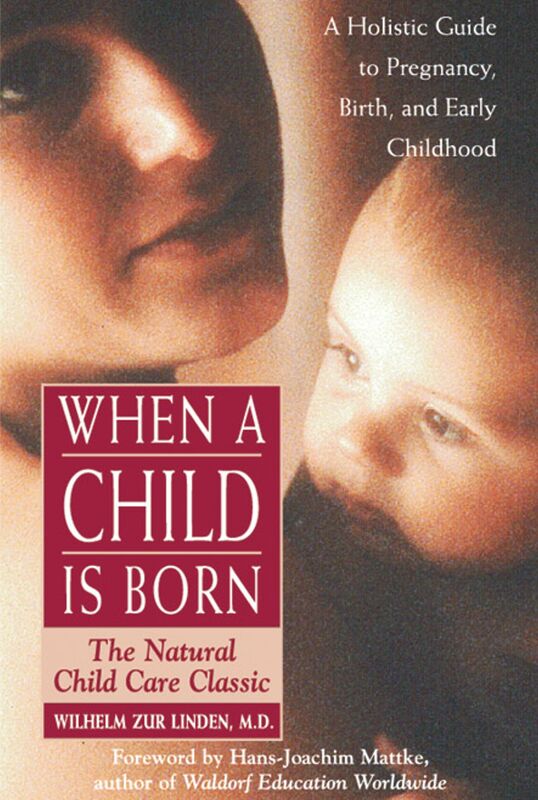 Based on Rudolph Steiner's work, stressing that a child comes into the world with an intact soul as well as body, When a Child Is Born provides the spiritual link missing from most current books on childcare. It discusses every aspect of pregnancy and nurturing, providing all the information needed to physically and psychologically prepare for the baby's arrival. Women are taken step-by-step through the birth and nursing processes, and later chapters provide advice for naturally treating every common childhood ailment and for instilling good habits in toddlers that will lead to a lifetime of physical, mental, and spiritual health. As useful today as when it was first written, parents will find Dr. zur Lindenis practical advice and uplifting message a constant source of support. "Parents will find Dr. zur Linden's indications for proper care, nutrition, and upbringing a constant source of suport." "When a Child is Born will help every mother to develop the right attitude towards her pregnancy." – Clause G. Doenges, M.D. "This compelling account of radical cancer therapist Harry Hoxsey's 35-year battle with mainstream medicine makes for great reading, especially in light of new interest in unorthodox cures." "Kenny Ausubel takes this subject very seriously, while maintaining a very reader-friendly style. A fascinating, well-written story with a terrific human interest punch." "Investigative journalist Ausubel presents powerful and convincing testimony. He attemts to leave us with a note of hope as he reminds us that alternative cancer cures are finally becoming mainstream." "An expose of medical policies which have limited and affected promising alternative cancer therapies in this country." "This book is riveting. . . . This book is also extremely well referenced, with both historical records and modern scientific literature. The amount of scholarship that went into writing it is admirable." "An important book not only in flagging hopeful cancer treatments but in demonstrating the methods . . . through which modern medicine achieved its present status." "Ausubel documents the amazing story of Hoxsey's rise to prominence . . . and the eventual destruction of his businessses in this country by the AMA and FDA. The most amazing part of the book is the phenomenal amount of research Ausubel conducted to bring Hoxsey's story to light. Ausubel's book is essential for anyone interested in the history of medicine or the history of herbalism." "Ausubel has done a remarkable job of bringing the drama of the controversial Harry Hoxsey and his herbal cancer treatments to light. This is a long book, but it makes a fascinating read." "When Healing Becomes a Crime is extraordinarily well researched, documented, and written. Ausubel guides the work through a complex story without turning it into a political polemic. This is definitely a recommended text for any reader interested in understanding the tensions and changes in medical orthodoxy of the twentieth century." "A superb book on the politics of cancer." "Hoxsey's fate--shared by other maverick therapists--has dramatic relevance today as alternative cancer treatment gains mainstream acceptance."